If you haven’t already read the legions of critics praising Moonlight as one of the best films of 2016, Moonlight is one of the best films of 2016. It’s hard to believe that Moonlight is even better than the hype suggests, but it’s not just a film with great performances and immaculate storytelling. 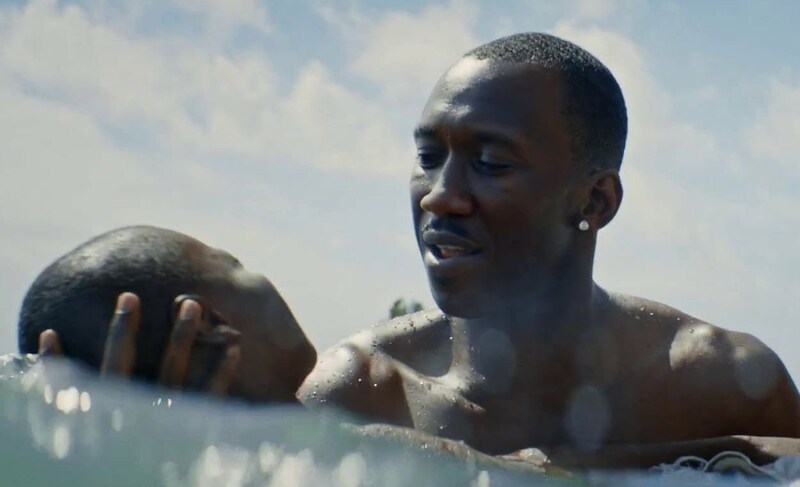 Moonlight is also an important film that explores a wholly original lead character struggling through early life as a poor black man who’s further marginalized by his sexuality. Director Barry Jenkins adapted Moonlight from a short play by a writer who grew up in the same low-income housing projects in Miami, not far from where much of the story is set. You can feel Jenkins’ intimate familiarity with the region in the film’s reverent cinematography. Moonlight follows the same character, played by three different actors, at key stages in his life: childhood, adolescence and adulthood. When we first meet Chiron as “Little” (Alex Hibbert), he’s a young boy already picked on for suspicion of being gay. After bullies chase Little into a crackhouse, the drug dealer (played by our national treasure Mahershala Ali) who rescues him starts a fatherly relationship with the boy that’s doomed from the start. The next time we see Chiron (Ashton Sanders), he’s in high school. The bullies are violent, Chiron’s relationship with his drug-addicted mother (played by England’s national treasure Naomie Harris) is as bad as ever, and his first sexual experience with another boy ends in outright tragedy. Finally, we meet “Black” (Trevante Rhodes), a fully-grown Chiron who reinvented himself in the macho imagery of his childhood father figure. It’s rare when an actor so perfectly encapsulates a character that it feels like they were born to play it, so it’s pretty miraculous to behold Hibbert, Sanders and Rhodes all born to play the same character and do it so cohesively. Of the three actors, Hibbert was my favorite simply because it’s even more impressive to see a child actor holding his own while Ali and Harris do some of their best work. Because it subverts so many expectations we have about similar films, Moonlight has started a lot of conversations about the types of characters black men are “supposed” to play in films. Jenkins appears to be fully aware of the debate because it’s exactly what he engages in Moonlight, and he makes a pretty damn compelling case for his argument. At different moments in the film, with different contexts, Jenkins shows us Chiron through the lens of his sexuality, his blackness, his poverty, and creates the fully formed study of a unique character that I’ve always wanted to see. As for my issues with Moonlight…I have none. Zero. Nada. Don’t let its 98% “fresh” rating on Rotten Tomatoes fool you: there’s no percentage of Moonlight to dislike at all. It’s as good of a new film as you’re likely to see in a year when it’s hard to see a new film that’s good. Enjoy loving it as much as I do.